I just added the below image and caption to the Trombone History Timeline (17th century, first half). 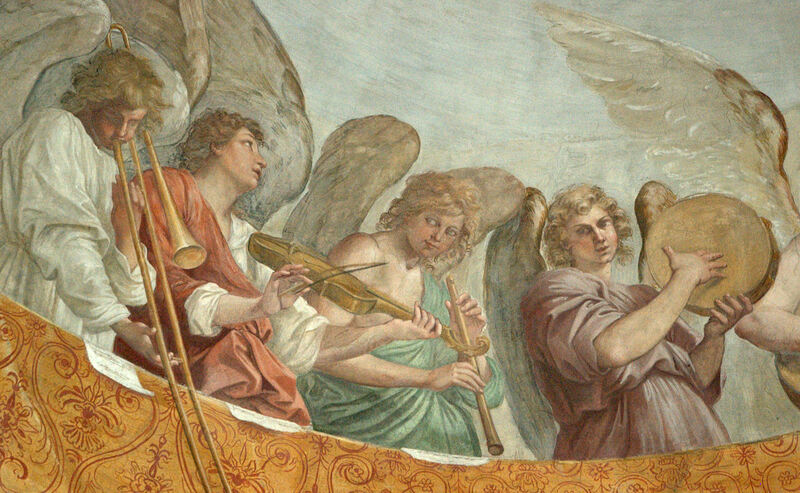 I also added it to the HubPages articles Angel Trombonist Throughout History and How to Hold a Sackbut: The Grip of the Early Trombone in Pictures. It’s nice to see the trombone front and center. Click on the image for a larger version. 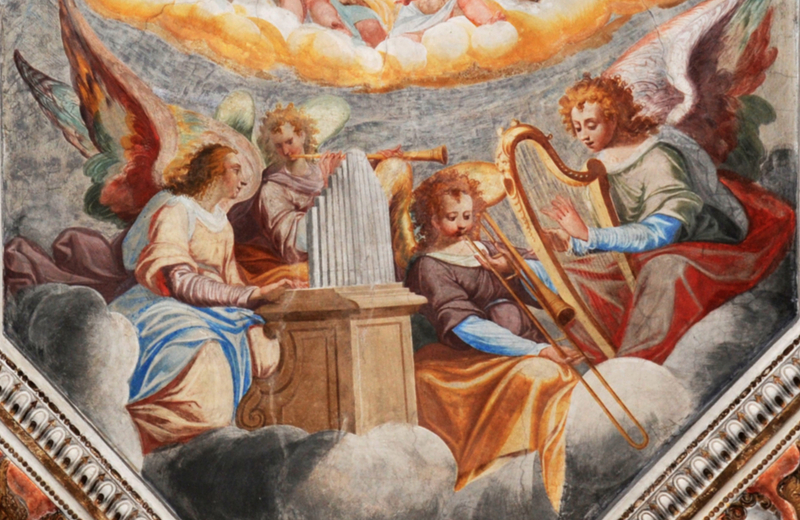 1600s—Malvaglia, Switzerland: A fresco in the parish church of San Martino features a concert of angel musicians with a trombonist (see below detail; public domain).